*$35 ACTIVATION, EARLY TERMINATION FEE OF $20/MO. FOR EACH MONTH REMAINING ON AGMT., EQUIPMENT NON-RETURN & ADD’L FEES APPLY. Price incl. Xtra Pkg. [, monthly service and equip. fees for 1 HD DVR] & is after $5/mo. autopay discount for 12 mo. Pay $55/mo. + taxes until credit starts w/in 3 bills. New approved residential customers only (equipment lease req’d). Credit card req’d (except MA & PA). Restr’s apply. Purchasing DIRECTV Packages is simple and easy. With DIRECTV, you can expect to get an extraordinary range of channels in each and every package, including the XTRA Package. Want more from DIRECTV? Other deals include even bigger channel line-ups, so you’re certain to find exactly what you love in a DIRECTV package! Find out which is your favorite choice for television. The DIRECTV XTRA Package is a preferred option for both channel line-up and value. XTRA consists of a lot more channels compared to CHOICE™ Package, giving you more than 50 additional channels to watch. Call now to order all of this and more! Get DIRECTV XTRA for your home today with just a simple phone call. 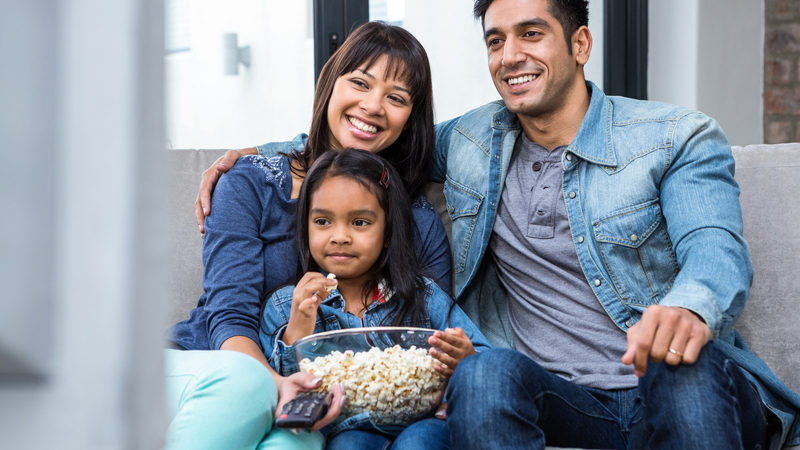 Experience DIRECTV’s top rated satellite TV package, and include your favorite premium movie networks and sports packages to make it even better! Who Should Get DIRECTV XTRA? Sports fans, you’ve come to the right place. DIRECTV XTRA adds even more action! And, if you’re up for other genres, it adds an assortment of other networks as well. With a mix of the top channels at a great value, the package becomes one of DIRECTV’s finest. See what everyone else is already enjoying! Choose XTRA and you’ll get tons of channels at a reasonable price. Watch your favorite sports network or informational channel and enjoy! Sports: Give the sports enthusiasts in your family exactly what they’re looking for. The DIRECTV XTRA Package offers specialty and sport-specific channels, to provide you more coverage of the sports you love. Get Golf Channel, SEC Network, NBA TV, Tennis Channel, Sportsman Channel, NBC Sports Network and CBS Sports Network for news updates and exciting coverage of everything from professional sports to hunting and fishing shows. Educational and informational channels: Interested in watching a documentary or a nature show? Take a look at some of these channels for a variety of shows and movies. Get Nat Geo WILD, BIO Channel, DIY Network, Hub, VH1 Classic, H2, Discovery Fit & Health, Ovation, Oxygen and more! With this package from DIRECTV, you’ll get 220+ of the most exciting channels on TV – so what are you waiting for? Get started today! Think 235+ channels are not enough? Or maybe just a starter package? Take a look at DIRECTV’s other packages to see which option has all the channels you love. Don’t forget to add sports packages and premium movie channels for the TV fanatics in your home. Check out more live games and sports coverage, plus a huge selection of movies and premium shows. DIRECTV XTRA is the perfect fit for your entertainment needs. Call today and get all the information about channel line-ups from DIRECTV. Place your order and see which DIRECTV deals you could also take advantage of! Eligibility for local channels based on service address. Not all networks avalible in all markets. If you feel four rooms isn’t enough, you can also watch your favorite TV shows and channels on-the-go from any web-enabled device thanks to the DIRECTV App. Get live TV and watch on-demand movies with the DIRECTV App on your phone and tablet.